GHS – Are you ready? The Globally Harmonized System of Classification and Labeling of Chemicals (GHS), as it’s name implies, is a system used globally to classify and communicate chemical hazards, using specified terms and information on chemical labels and Safety Data Sheets (SDS), which are internationally recognised and consistent. While the GHS is not currently mandatory in Victoria, it becomes mandatory on 1 January 2017 in other states and territories under the Model Work Health and Safety laws. This means chemicals exported out of Victoria will most likely be required to comply with the GHS by other states/countries. Similarly, chemicals brought into Victoria will most likely be labelled in accordance with the GHS. In Victoria the current OHS Regulations expire in June 2017. WorkSafe is required to review and remake the regulations by this date. As part of this review, it is proposed to remove references to the HSIS and the Approved Criteria and replace these with the GHS. The effect of this proposal is that GHS would become mandatory in Victoria. In order to safely manage chemicals, duty holders should familiarise themselves and their employees with the GHS system so as to understand the risks that the labels and SDSs identify. 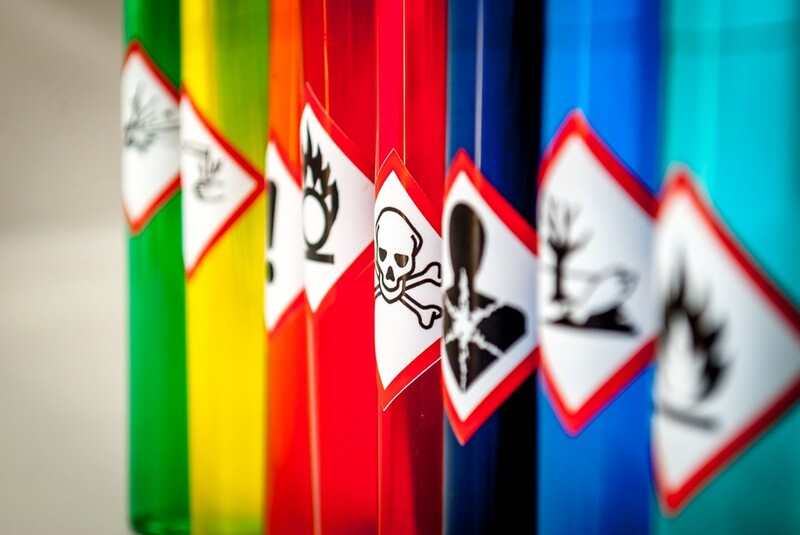 The words ‘Danger’ and ‘Warning’ are used in the GHS as signal words to indicate the severity of a hazard. ‘Danger’ is used for the more severe or a significant hazard, while ‘Warning’ is used for the less severe hazards. With respect to Dangerous goods – Transport there is no change to placarding on dangerous goods outer packaging and vehicles in transport therefore placarding in accordance with the Dangerous Goods (Transport by Road or Rail) 2008 and current ADG Code is still required.